The school buildings have been carefully designed and laid out, using the direction of the sun advantageously. The porches that surround the two main buildings provide shade and a place for gathering-very different from schools in the US that utilize indoor hallways to deal with cold. There is a Gazebo, one of the first structures of the school that provides an excellent space for outdoor classes. 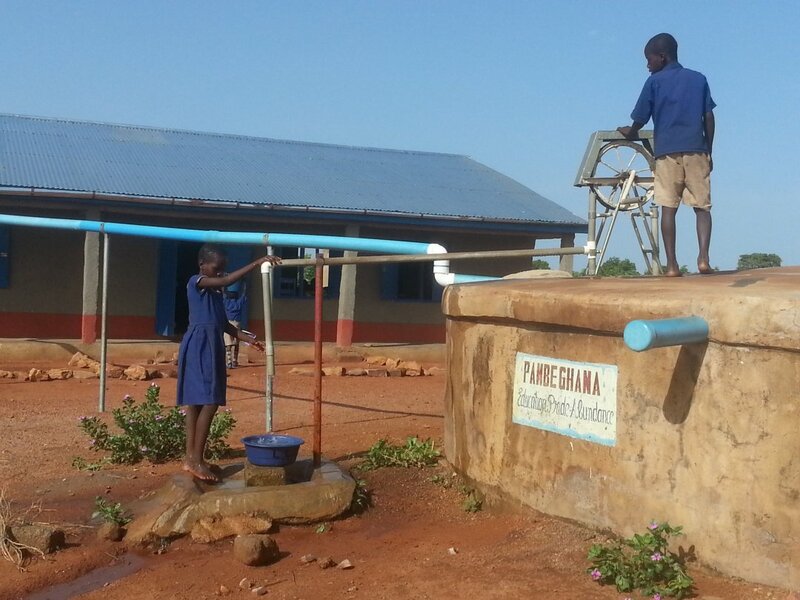 Water is always an issue as the school has no running water and must rely on large tanks that catch water though a series of pipes on the roofs of the school buildings. These tanks are full during the rainy season but often run dry before the next rains. There are two lavatory facilities, one for urinating and another section with four latrines with doors, a luxury for many of the children who are accustomed to using brush areas. A nearby hand washing station provides soap and water for washing up after using one of the facilities. On this, my second day at the school, I drew floor plans of each classroom and began an inventory of the learning materials in each classroom. As there are seven classrooms this occupied the better part of two days. The next task is to clean, inventory, and organize the storeroom. On Friday Alice suggested we walk to Bumboazio to meet members of the community. As we walked to the village we greeted children on their way to school, many of whom were carrying water for their classrooms.